Champagne Package – with Chocolate Truffle $ 49.50. Cheese and Wine Package- Assorted Cheese display with Crackers and a bottle of Red Wine $45. 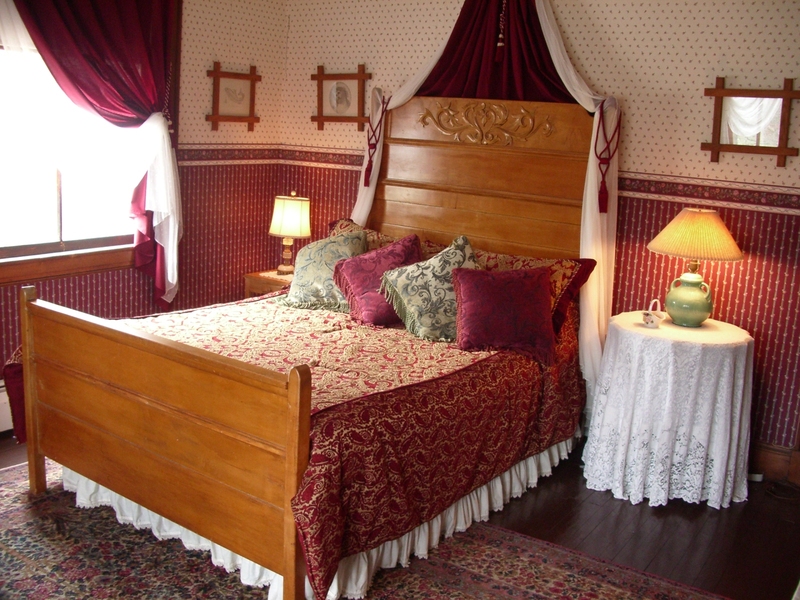 Three course candle Light Diner Menu served in your room $ 41.50 per person. Please ask your host: If you would like to enjoy a picnic at one of the local Parks, Basket can be prepared specially for you.r you. This beautiful, Sunny Front Room has four huge Windows overlooking the Trees and Mountains. Private Bath and Full size Bed Relaxing in the soft atmosphere of the Maple Tiger Bedroom Set, or seating at the Original Deer Park Hotel Lobby Desk takes you back to the era of the Pennington Cottage. Entwine, reading in a rocking chair or enjoy Room Service in the dining area. This Large Room has a beautiful Ruby Light Fixture. 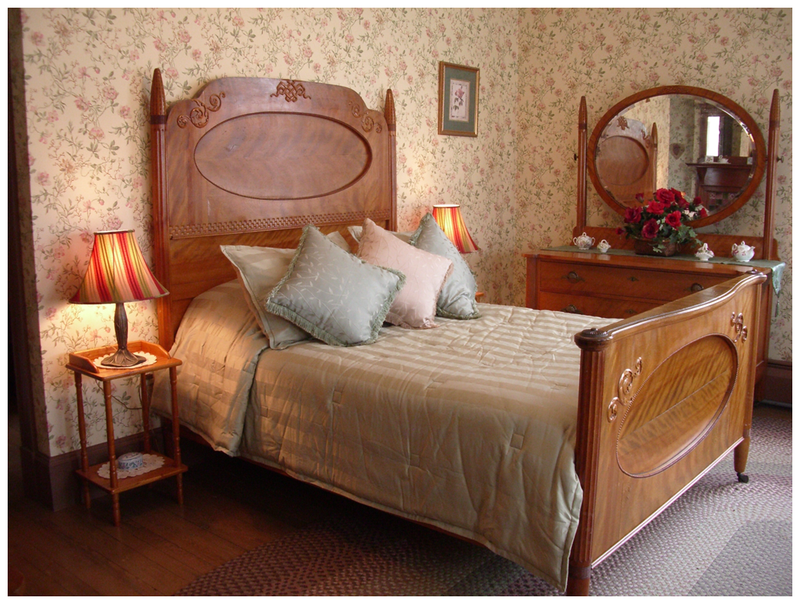 It puts you at ease in the cozy clear Antique Furniture. The Sunny front view of Trees and Mountains brings warm comfortable light in the Room. Private bath across the hall and Queen size bed. Reading Chair, antique Desk and Dining area. 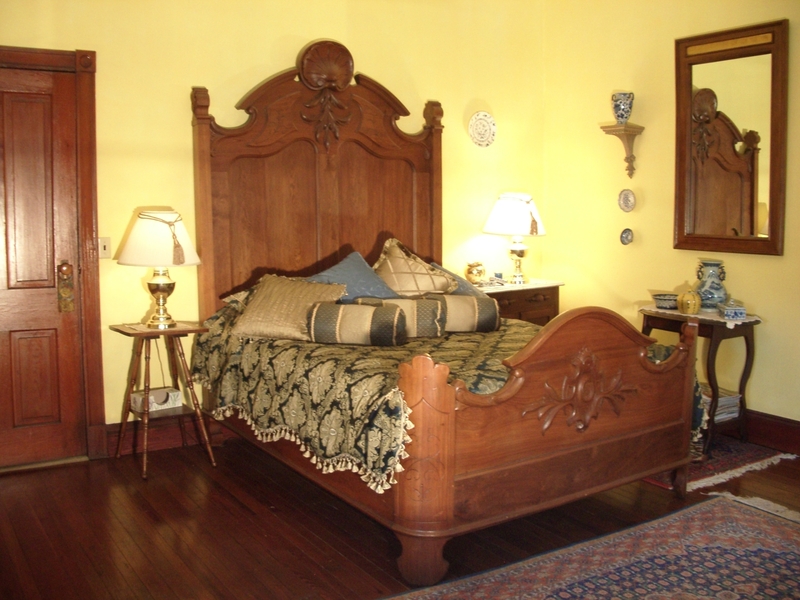 This is a beautiful spacious room with 12 feet ceiling, original light fixture, French armoire, the Queen Size Bed with the majestic Headboard is one of the first Sears and Roebucks Mail order Catalog items. The large bathroom is completely Original with Ceramic Sink and Bathtub. Here you can enjoy a long and relaxing Bath in the Famous Deer Park Spring Water..